Nigeria is ranked 4th globally, among the 22 high TB-burden countries. Furthermore, Multi-Drug Resistant-TB, is a major public health threat in Nigeria and a leading cause of death in HIV infection. While TB is curable, very little progress has been attained in mitigating its spread. This is mainly as a result of challenges and gaps that exist in the current system of managing treatment, which is lengthy and cumbersome. NIMCURE is a collaborative research and development project between Nigerian Institute of Medical Research (NIMR) and Co-creation Hub. Our goal is to assess the extent to which digital health can impact adherence to TB treatment. 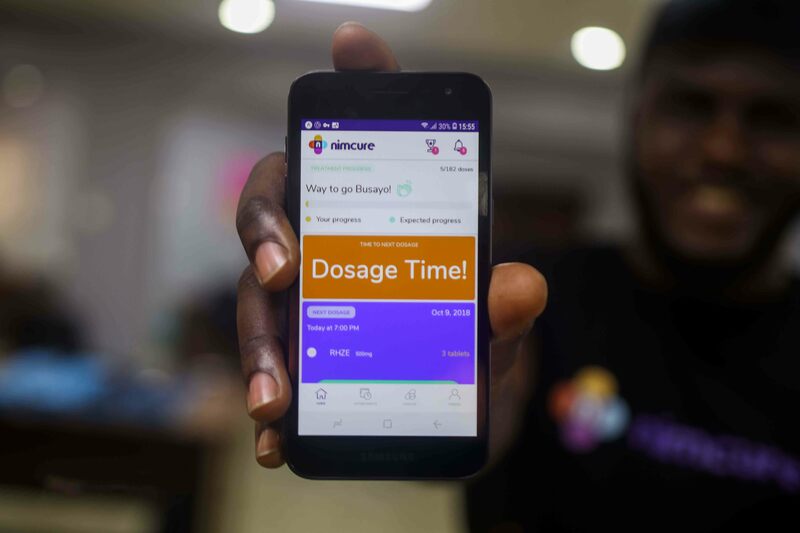 In October 2018 we launched NIMCURE – an interactive mobile application with key features that engages patients to take charge of their treatment. Using the NIMCURE app, patients are paired with caregivers who support and manage treatment remotely. The app innovates around the current method of treatment, Direct Observe Therapy (DOT) by the use of vDOT (video Direct Observe Therapy). 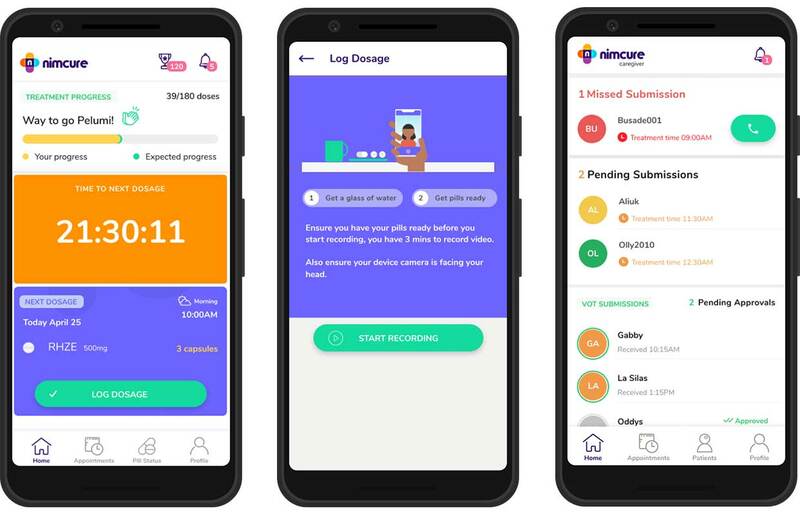 With NIMCURE, patients are able to record short videos to log their daily dosage. Other features of the app include enabling patients to track treatment progress, receive key notifications and reminders as well as contact their caregivers.Caregivers, through the NimCure Care app, are able to monitor patient treatment including assessing video submissions, manage patient treatment progress and contact them directly. L - R: a. The patient dashboard showing a countdown to the next dosage, b. Log dosage screen where a video of patient taking medication can be recorded and sent to be approved by a Care giver, c. Dashboard of the Care giver showing recent submissions from patients. A medical trial with 30 patients and 6 caregivers is currently ongoing. With support from Samsung, CcHUB has provided mobile phones to patients and caregivers for the duration of the pilot. 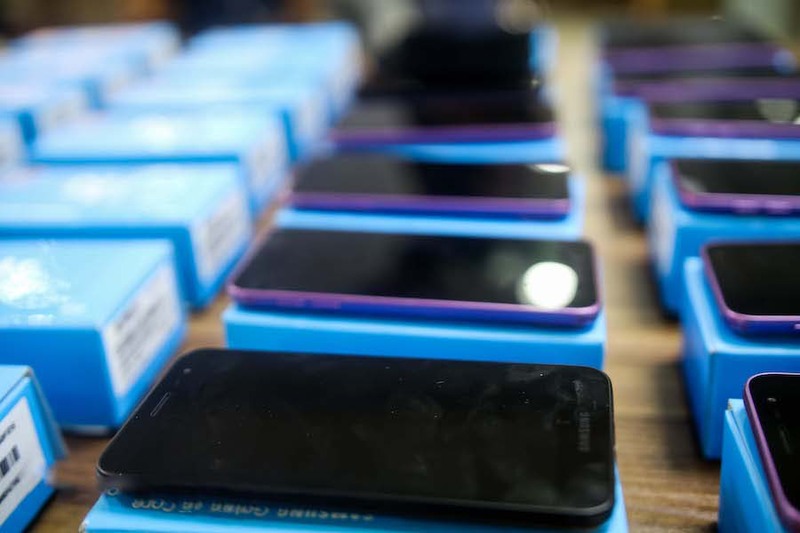 The devices will also come equipped with SIM cards and data plans. Plans to scale up the pilot with a state hospital are also in motion. From TB/HIV patients to health care workers and family of patients the benefits of frontline application of science and tech is promising.